But it’s over, it’s here, and we finally moved in this October! Truthfully, I thought after the build and move were over, it would be all downhill, easy peasy. What a foolish thought, right? Turns out when you have moved three times in four-ish years, your stuff isn’t SUPER well organized anymore. From October 2nd until Thanksgiving, every day was some form of unpacking, sorting, trashing, hauling, moving, shopping, organizing, and breaking down boxes. I’m thinking that it’s all worth it though, because each day I fall more and more in love with this Disney fairytale home that came 100% out of my own head. I can’t wait to share the details with you all- starting with my kitchen! 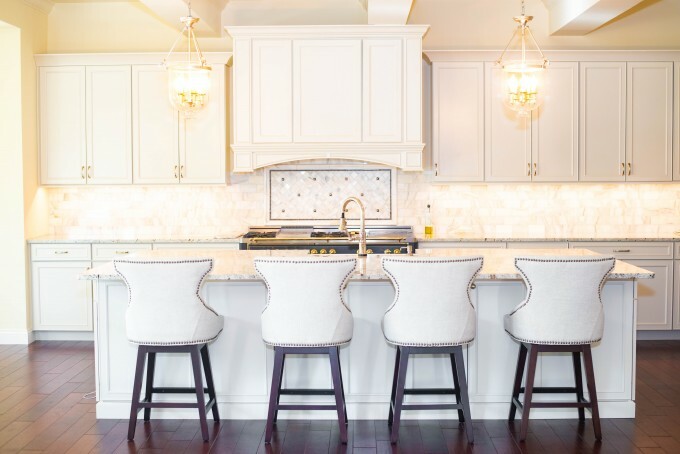 I have had dark kitchens since I left college, and while I was once in love with the beautiful look of dark cherry cabinets and gold granite-look countertops, I knew from the very start that this kitchen was going to be light and bright. I was picturing warm white cabinets, deep colored floors, brass metal finishes and light countertops. As you can see, I made that come to life. I am so in love with everything in here, but the real showstopper is the range that I picked out. Doing what I do means spending a lot of time in the kitchen so, naturally, my cooking appliances were a HUGE deal to me. This led me to do my fair share of research on them! I have always wanted a free-standing range rather than a cooktop/double wall oven combination – so that is where I started. They are STUNNING! I loved the idea of having a colored range in the middle of the kitchen to grab your attention, and the finishes are unbelievably striking. The more I read about the brand, the more sure I became that I had found the true love of my life (sorry, honey!) Described as “Italian workhorses,” these Italian-made ranges are built to handle just about anything that you can throw at them. 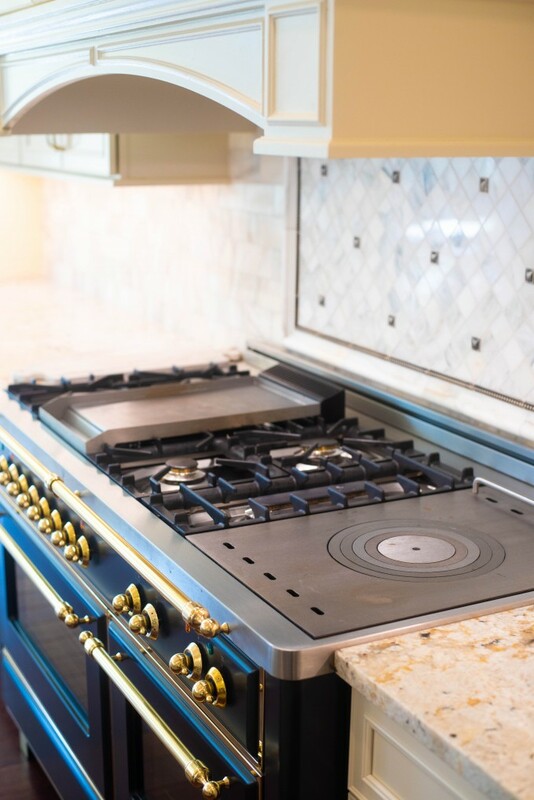 The ILVE Majestic Range features a variety of custom cooktop configurations that you can choose from, each with slightly different functionalities. 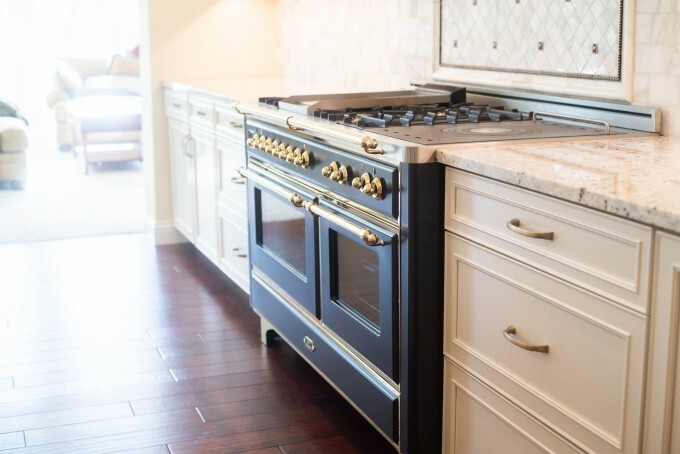 I opted for a 60-inch option equipped with both a fully removable griddle and a functional French-top plus 5 traditional gas burners- 2 high power, one high dual ring with a power burner and simmer option in one, and an oblong burner that is great for my extra large pots and oval cocottes. The most surprising thing for me about this range was the stainless steel griddle. I opted for it because I knew even if I didn’t want to utilize the griddle, I’d still have the option of the large burner underneath as the grates were also included. To my surprise, I actually use the griddle ALL THE TIME. 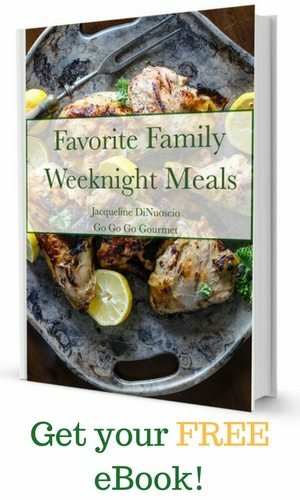 It allows me to bulk prepare food that I’d normally have to do over and over in a skillet. I’ve used this to make the BEST grilled cheese sandwiches, but where it really shines is breakfast time- think thick sliced French toast, fluffy pancakes, perfectly fried eggs and unbelievably crispy hashbrowns. It’s also my favorite for frying up bacon because I can lay out almost a full pound of bacon on it at a time! The fat drains into a grease catcher at the bottom, allowing it to fry up beautifully and fast! I’m still getting acquainted with my French top (also known as a Coup de Feu,) as it is an entirely new way of cooking for me, and I love it! 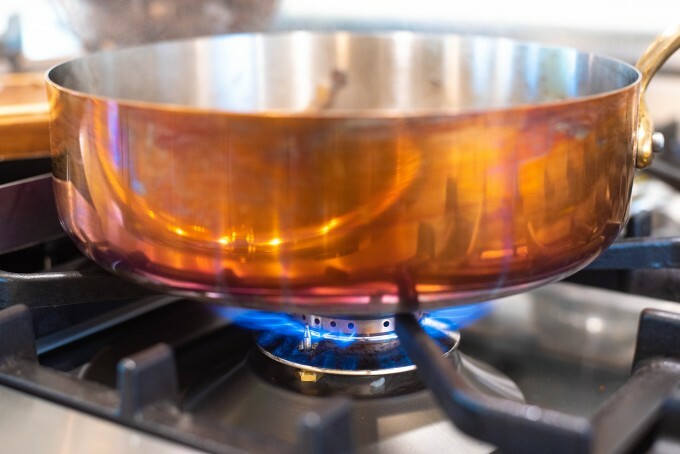 I find that with gas burners, sometimes the lowest setting is too high (think about making cranberry sauce or keeping mashed potatoes warm on the holidays!) The French top resolves this issue for me. 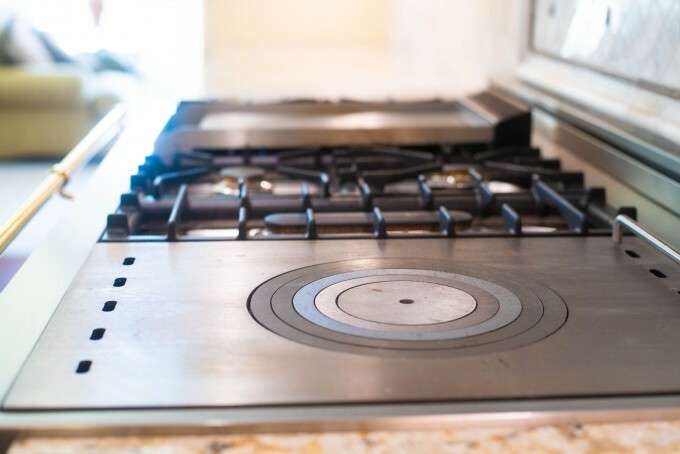 The accessory is a large cast iron grate that is built-in to the cooktop and composed of 5 concentric rings with a single flame underneath the most central ring. The entire surface can be used as a cooking plate, with variable amounts of heat across the surface- the closer to the center, the more heat there is. 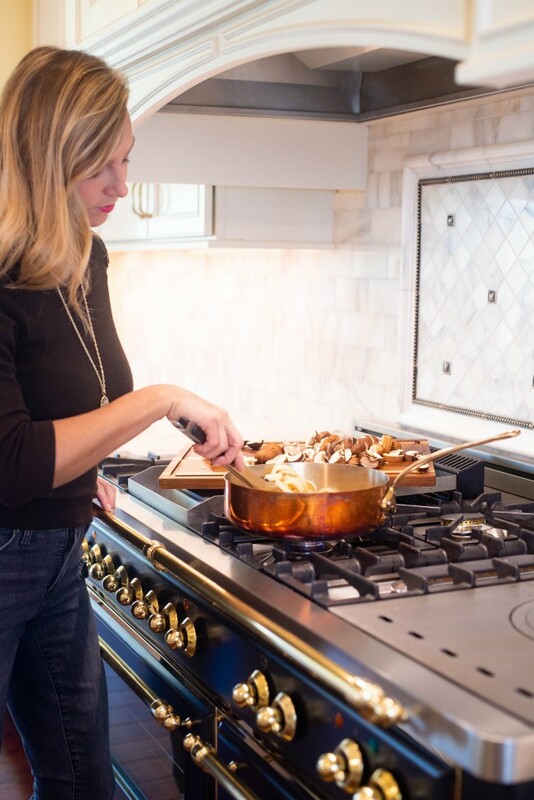 The large cooking surface opens a world of flexibility in cooking – I can fit multiple saucepans/pots/sauté pans on it at one time and at different temperatures. Now, on to the ovens. On my 60” model there is one full-size oven (equivalent to a 36” oven) and then another that is equal to a 24” oven – essentially, more space than I would have had in a separate wall oven and with tons more functionality. I really feel like you’d be hard pressed to find some sort of function that these ovens DON’T cover. The electric ovens come with a multitude of cooking modes that turn on and off the heat elements depending on the setting. You can choose anything from a traditional convection setting, to an exclusive rotisserie option, a pizza mode, a defrost setting and so many more. Each mode is specially designed for a specific kind of cooking, and boy- are they ever PERFECT! I made a batch of cookies last weekend, and they all turned out fabulous. I baked multiple trays at the same time, and all of the cookies came out evenly with no rotating required! I’ve always been a huge fan of the rotisserie chickens at Costco and Sam’s Club, so I was ecstatic to try out the included rotisserie option that comes with every ILVE range. I thought it was going to be difficult to learn how to use the accessory, but I made TWO beautiful chickens in about an hour on the very first attempt. They were juicy, with a beautiful skin, and I roasted them over potatoes and Brussels sprouts that were equally delicious. The appliance itself is stunningly beautiful. Impressive in its own right due to its size and stature, it is even more beautiful set off against my white cabinets and light countertops in the finishes I selected. I opted for the Matte Graphite color with brass finishes. As soon as I saw the finishes in person at Custom Distributors I was in love. The brass finish is gorgeous, and I LOVE the matte graphite color – it hides my kids’ fingerprints, and the deep color masks my splashes and splatters! 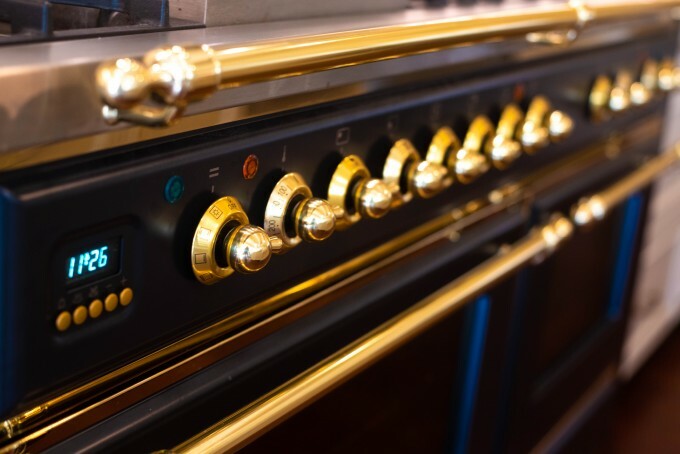 If you’re heading into a new build, a kitchen remodel, or even just replacing your appliances, I can’t urge you enough to consider the ILVE Majestic- there is simply no contest. You won’t find anything out there like this range – and it is offered in various sizes that will work for any kitchen space, not to mention the 100’s of colors and beautiful trim colors. My new range has elevated my cooking experience, and made me passionate about being in the kitchen again. You can read all about the Majestic line, as well as the brands other offerings on their website here. Thanks for the article. We are building our first (last) custom dream home and feeling the pressure of finding the “perfect” everything that we then have to stick with for the next 30 years. The standard, of course, is wolf / subzero throughout, but my wife ran across ilve and fell in love with the look. 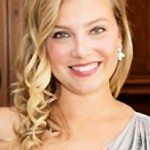 I’m trying to research it all, from literally zero to pro, and the ilve site is terrible. We really want the look, but not at the price of a sub-par range for the same price. It’s hard to know if it’s “really” as good with all they hype on one side, and very little info on the other. It’s good to hear a professional review it so well.